Jennifer And Justin Spotted At Heathrow Airport! 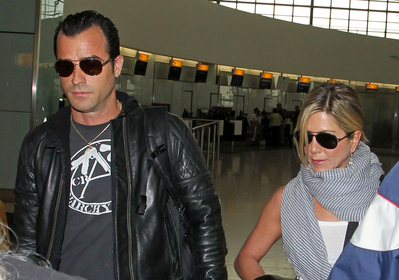 Jennifer and boyfriend Justin Theroux were spotted walking hand-in-hand through London’s Heathrow Airport! I’ve added some HQ photos to the gallery – Click the below image to view more! Previous PostJennifer’s Date Night?Next PostJennifer Aniston: American Cinematheque Awards!